All PR, communications, and marketing efforts are guided by a consistent message reflective of your mission, vision, values, and goals. PR and communications are guided by a strategic plan. All available communications outlets are properly utilized. Marketing does not replace development or fundraising. Marketing is targeted and employs social marketing techniques. Materials are driven by the principles above and are cost effective. The Clubhouse: This post's featured resource is a list of outside sources on PR and Marketing strategies for nonprofits. Also be sure to tune in to the Club Excellence Workshop on Child and Athlete Protection Webinar, TOMORROW at 11:00am MST. The PIN for access is: 346397#. Coaches' Corner: Coach Develpment Manager, Jon Casson, gives an inside look on USSA's recent partnership with PSIA/AASI. Clinic Schedule and Education Update: Here is the most up-to-date version of the clinic schedule for each sport: Alpine, Cross Country, Freeski, Freestyle, Nordic, Snowboard. The Fall Alpine Coaches Symposium is a few weeks away, November 5th - 8th at Copper Mountain. Register today! Parent Perspective: As we approach the season, it is important to get into the right mindset to best support our children as they pursue their dreams in skiing and snowboarding. One key strategy is to make a clear distinction between performance vs. results - not only as parents, but also in teaching athletes the distinction. As parents, one way to determine whether we are supporting an environment for optimal performance regardless of results along the way is to use this parent questionnaire. 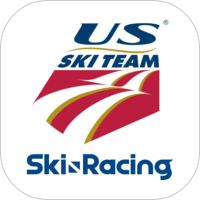 USSA Update: USSA and Ski Racing are very excited to announce an official US Ski Team app! This app will be a great way to get news, status, video, and bios on all of your favorite US Ski Team members. Check it out on the app store, and download today! Featured Athlete: This month, we are featuring Freestyle athlete, Troy Murphy.